Modern buildings with large window panes might not always be that pretty, but they’re good for nice plays of light. 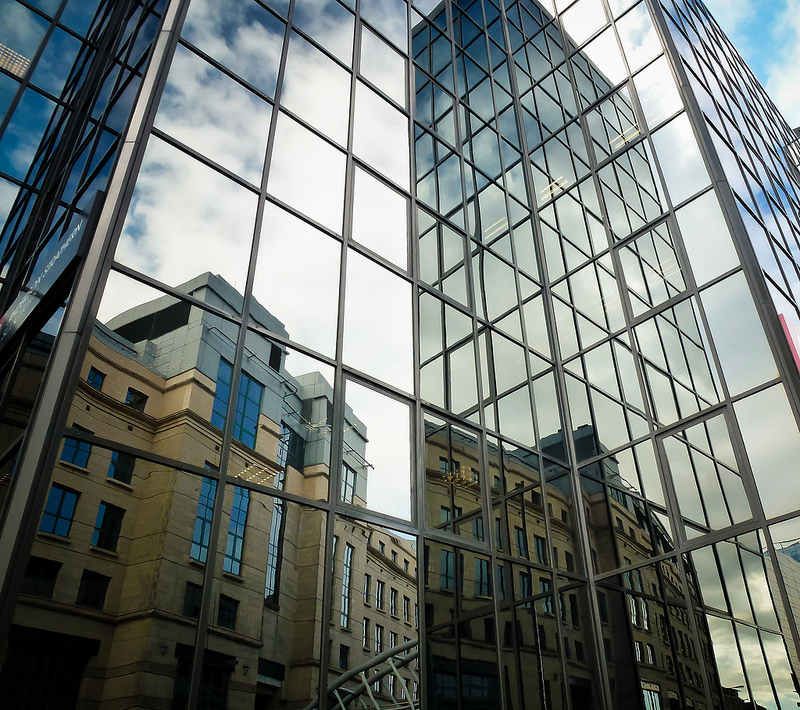 Sometimes, I got caught by a reflection in the glasses, like it happened in Edinburgh, with buildings mirrored in a geometric frame and forming an intriguing picture. Thanks so much! Indeed, Edinburgh is a wonderful city, and one of the most beautiful in the world! Edinburgh is seriously my favorite city in the world! This is a beautiful photograph that captures the city’s modern aspects juxtaposed to its vibrant history. Keep up the awesome!